Edit: It has been brought to my attention that this book has problematic representation. While this book helped explain gender-fluidity, it does so in a way that is clearly written for cisgender people, not for gender fluid people who need representation in fiction. If you want to read about gender fluid individuals, seek out #ownvoices stories which center gender-fluid people, rather than writing for cis people’s benefit. Additionally, while never revealing the main character’s gender assigned at birth or using pronouns to describe the MC is compelling, it is a choice that can undermine important parts of life for gender-fluid individuals. Also, not using pronouns undermines the educational value, in my opinion, by refusing to normalize gender-neutral pronouns. An emotional roller coaster of a story that helped me understand gender fluidity. 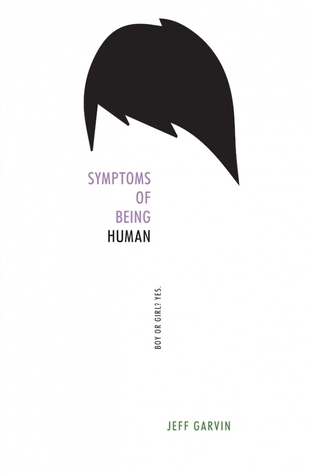 I did not know what to expect from Symptoms of Being Human, but I got an emotionally charged story that honestly changed the way I see the world. I loved Riley’s character. Their voice was clear from the first page, with just enough sass and never too much brooding. I was sucked into their life and was incredibly emotionally invested in everything that happened. Through Riley, I got a vivid window into what it is like to be gender fluid. The way that the author presented Riley’s character felt natural; it feels like a novel, not a pamphlet. I had never considered what it would be like to be gender fluid before, but Symptoms of Being Human really helped me understand it. SOBH also has various other LGBT characters and spends a lot of time clarifying the nuances between each in a clear way—without breaking up the flow of the story. I am thinking of passing this book onto my grandparents because of how simply but clearly it explains different LGBT identities. Riley’s first day of school made me nervous. The depiction of high school was extremely stereotypical, kind of everything I avoid when it comes to contemporary books. Though it never completely shook the stereotypical beginning, the high school was thankfully given more nuance as the story progressed. The side characters helped the story avoid being totally cliche. Both Solo and Bec broke the “best friend” and “love interest” molds, bringing originality and life to the story. I loved that their relationships with Riley did not progress easily from their first meets to friendship; the friction they had with Riley gave the story more layers and helped the plot go in interesting directions. Bec’s backstory complemented the main plot without feeling like it was added in only for that purpose. Speaking of the plot, SOBH was paced exceptionally well. For a contemporary book, the pacing is pretty fast, especially past the halfway mark. I was sucked in, both because of the plot and the emotions the plot evoked. I read the book in basically two sittings, and I cried for most of the ending. The process of Riley’s blog going viral felt natural and realistic. Riley was actually a really strong writer who was able to put his emotions into moving words, making it understandable why his blog would become popular. Even so, the blog did not go viral overnight, and it was not a positive process. Riley started a blog assuming no one would care and became a lightning rod for LGBT controversies and discussions within a few weeks. It was overwhelming and frightening for Riley, and that was before someone threatened to expose his identity in real life. As much as I loved SOBH, I have a few problems with the plot. I saw the identity of the person who was threatening Riley coming from miles away. Though the plot grabbed me, it never took an entirely unexpected turn. Looking back on the story, I feel like the author could have done more to make the plot less predictable. Making the story longer and fleshing out some of the side plots could have helped make the story more unique, I think. Overall, I would recommend SOBH to everyone. It does a fantastic job bringing Riley’s identity to life. Though the plot has technical flaws, the story is gripping and powerful, and I dare you not to be horrified and saddened throughout the book. I will definitely read anything else Jeff Garvin writes.